With Teacher's Day right around the corner, I couldn’t help but think of the many art teachers that keep inspiring their students to be creative. I dedicate this project to them. 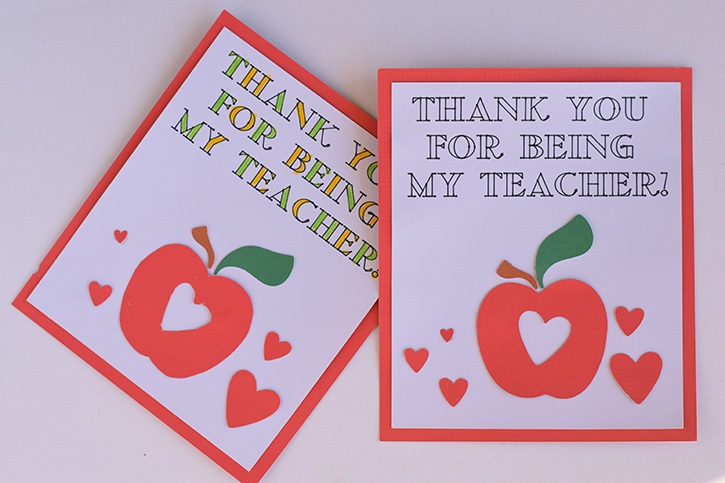 I love that this homemade gift allows teachers to use their creative talents, while also giving them a quick and easy way for them to send a personalized card to someone special. 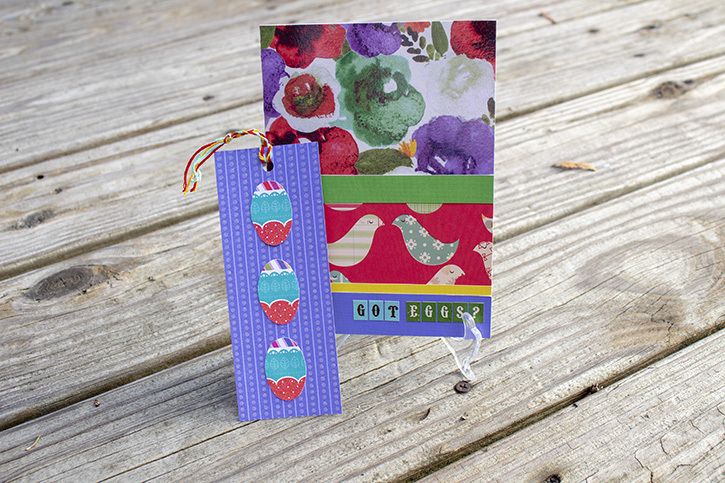 Putting card-making components into a DIY kit makes it easy to keep everything organized and ready when the itch to be creative comes. 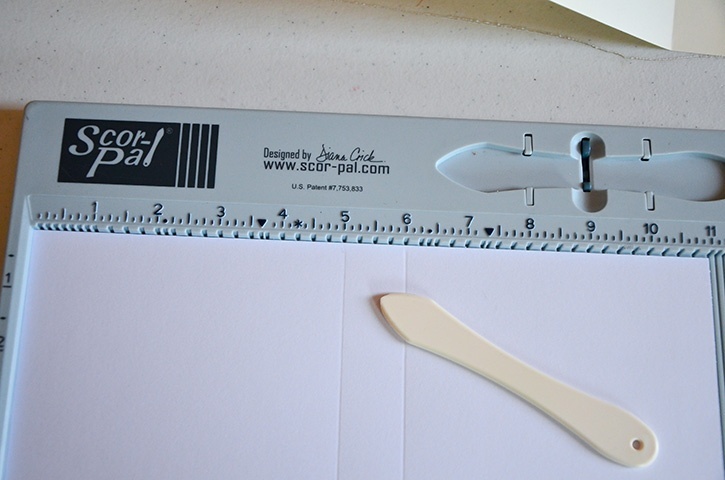 Place the beige paper horizontally onto the Scor-Pal and score at the 5-inch and 6-inch marks. Fold the marks. Place Glue Lines on the center edge of the kit's container and adhere a 3-inch piece of ribbon on both sides. These will be the ribbon closure for the kit. Adhere the container foundation to a piece of pattern paper using Glue Lines. Trim the excess paper and reinforce the folds. Cut a 3-inch wide pattern paper and adhere to the beige card stock (inside of the card kit container) towards the bottom. 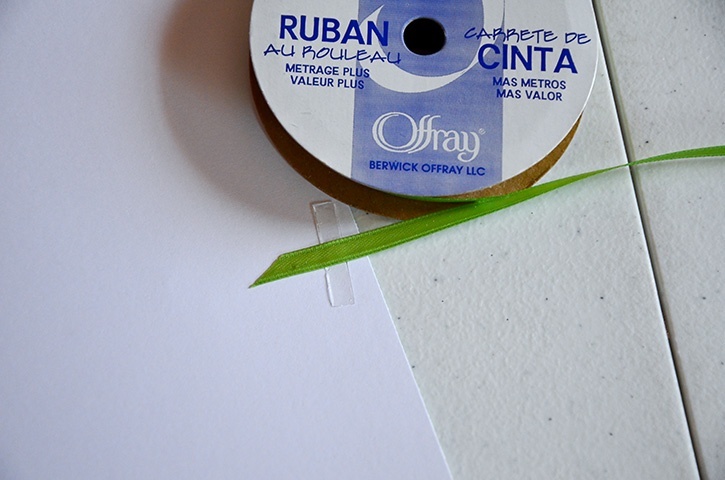 Place Glue Lines ONLY on the edges of the lower three-inch borders of the beige card stock, leaving the top open. 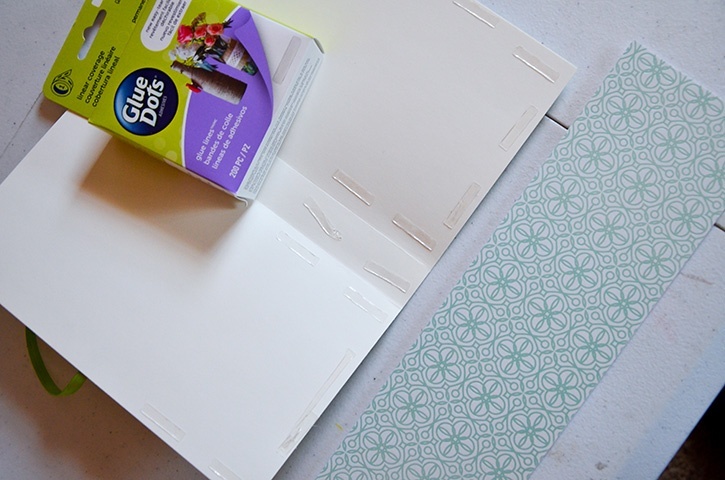 Adhere the 3-inch pattern paper to the Glue Lines, this will create the pockets to place the card-making elements in. Repeat this process again for another pocket right above the one just created using a different pattern paper. 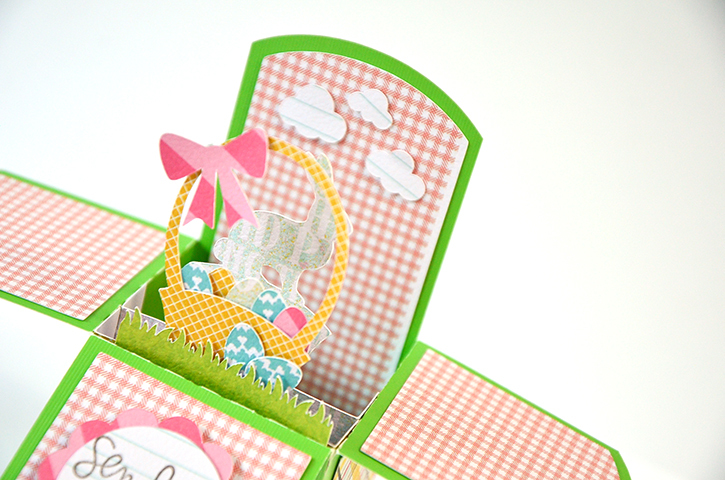 Be sure to leave enough space between the bottom and top pockets so that you can add all of the card components. 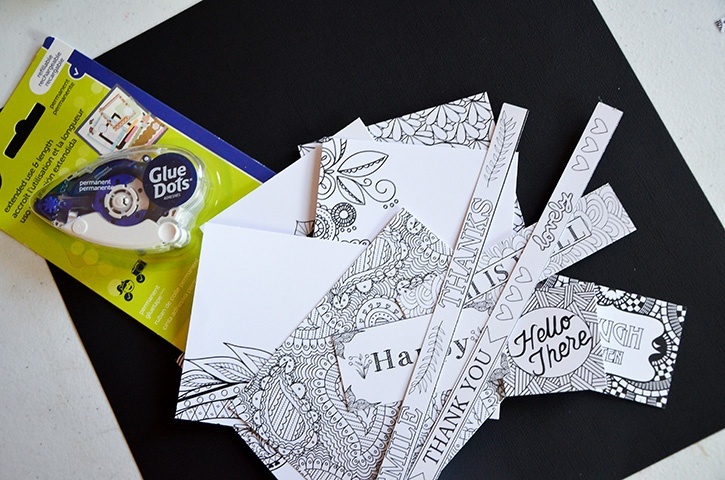 Choose coloring pages to make card fronts and sentiments. Cut the card fronts so that they measure 3 x 5 inches and cut out some of the sentiments. 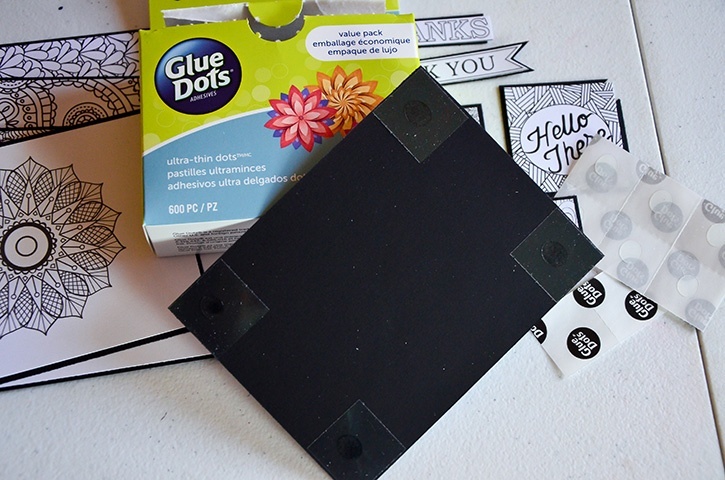 Adhere your cut out pieces to black card stock using Permanent GlueTape. Trim the black card stock so that there is about a ¼-inch border. 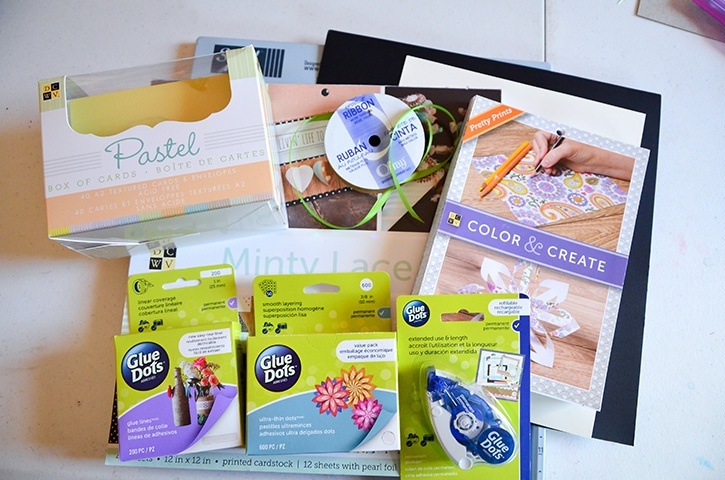 Tear apart the Ultra-thin adhesive sheets, so that you have individual dots to add to the back sides of the card panels and the sentiments. Remove the white liner and place the dots onto each corner of your cut out pieces. 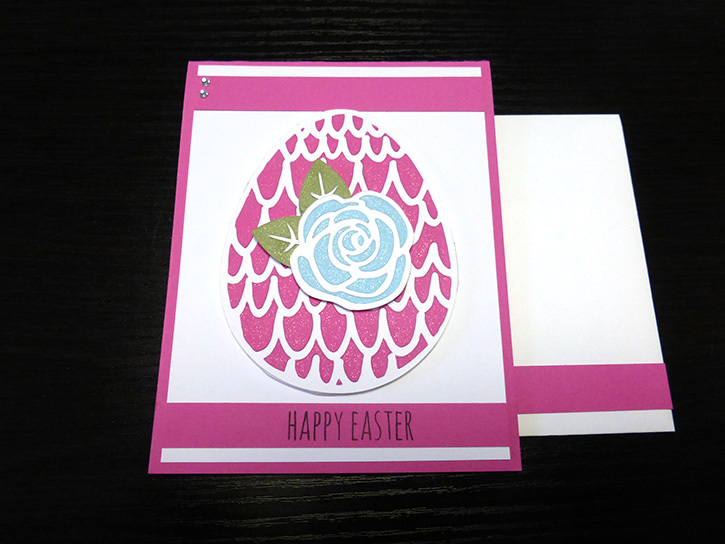 Be sure to leave the clear backing intact so that your art teacher can take it off when they are ready to build a card. 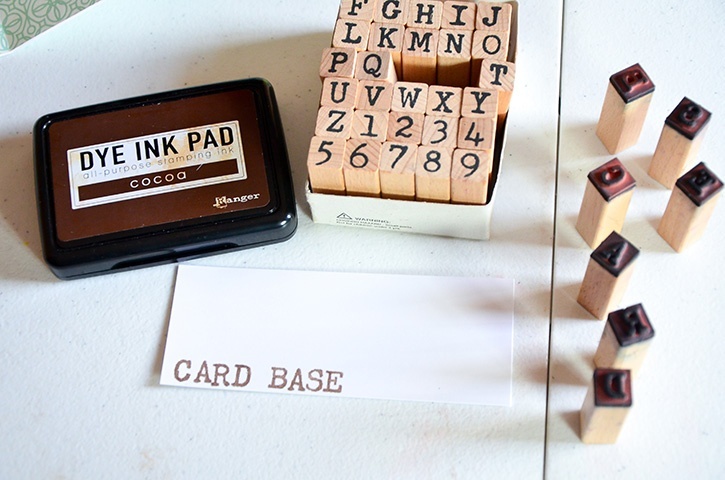 Stamp the labels for each element group within the card kit. Adhere the labels to the tops of the pockets using more Permanent GlueTape. 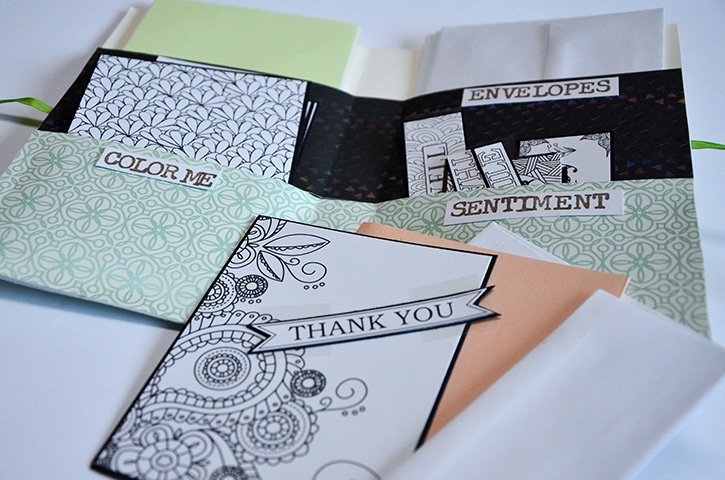 Place the card bases, envelopes, card-front panels, and sentiments inside of the DIY kit. Use the ribbon to tie the kit closed. 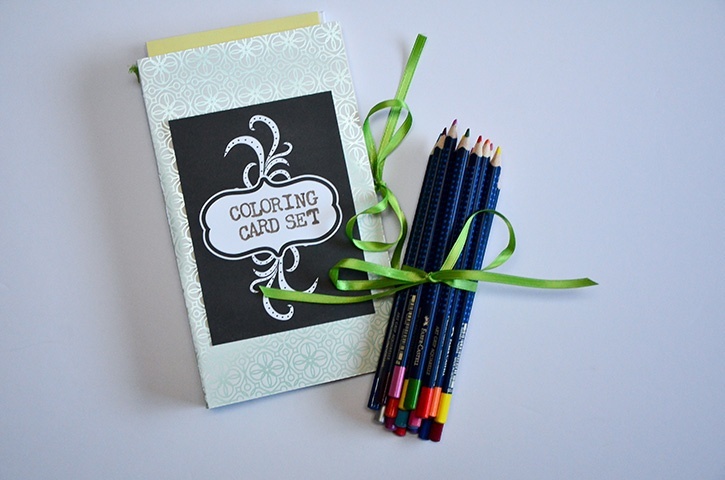 Present the gift with a box of colored pencils.